Welcome to Solaya's Intuitive world of Psychic Reading and Spiritual Coaching. An intuitive consultation empowers you to listen deeply to your guidance and connects you to your soul destiny. It helps you unite, flow, and grow in harmony with your spiritual journey. You become aware of your total potential and possibilities. A tarot card reading guides you with clarity and awareness. It broadens your vision and shows you clearly where you are now and where you are going. Using my own deck of hand painted Tarot cards, I deliver insights that assist you in seeing clearly your highest intentions. It helps you in directing your focus with renewed inspiration. A Tarot card reading leaves you feeling good, refreshed with a renewed clarity. Channeled Spiritual Guidance guides you through challenges and dilemmas. It supports you in letting go of negative emotions, patterns, programs and past experiences. It helps you to remove blocks transforming them into a new light, new awareness. Your perspective will change. 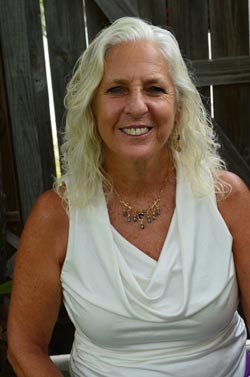 Channeled Spiritual Guidance connects you to your Higher Self, inspiring you to live your life connected to your truth. A Channeled Spiritual Guidance session is liberating, uplifting, and encourages you to follow your inner guidance regardless of what has been holding you back. It facilitates a fresh start from the present moment. Palmistry is the analysis of the lines, prints and shape of your hands. It gives you great insights as who you are, your character traits and what you excel at. It delivers an interesting picture of your life purpose and lessons. Coaching assists & empowers you to reach your goals and dreams. It brings clarity about where to focus and how to move forward to reach your desired results. You actively participate in creating the future that you want to manifest. You are accountable for the completion of your objectives. * Would it be beneficial for you to receive powerful clear guidance? * What about feeling enthusiastic about moving forward on your life journey? *Are you ready to clear old stories that prevent you from listening to your guidance? *Are you ready to live your life inspired by consciousness? *Would you like some support to reach your dreams and goals? Call or e-mail me to schedule a session. I can help you make sense of life roller coaster. Let me be the lighthouse assisting you to navigate through life challenges. Sign up for the Spirit Connection Newsletter!